We are a family factory dedicated to make handmade Mexican chocolate. We are a family operated business dedicated to the creation of handmade Mexican chocolate products. We are located on the beautiful island of Cozumel, Mexico and have been in business since 2007. Because we are family owned, we are passionate about what we do. We are dedicated to sharing the magic behind our chocolate and the origins and history of chocolate in Mexico. Chocolate is deeply rooted in the Mexican culture, beginning with its ancestry in the Mayan culture. It is the Mayans who considered cacao to be a sacred food and we too believe that there is something very enchanting about chocolate. Visit us to learn more or check out our “about chocolate” section. During a trip to Tabasco and Chiapas, Mexico is where we first discovered the history behind Mexican cacao. We learned about the importance of cacao to the Mayan culture and of course had the opportunity to taste the deliciousness of the criollo cacao bean. After this visit to the “mainland”, we began making chocolate bars in our small Cozumel island workshop. We experimented with the chocolate and cacao beans to create unique products. Visitors to this beautiful Caribbean island started to buy our products. We expanded the sales into local retailers where our products became the perfect gift for loved ones. Soon we decided to open a little chocolate museum next to our small factory where today we receive many visitors. Book a factory tour TODAY! 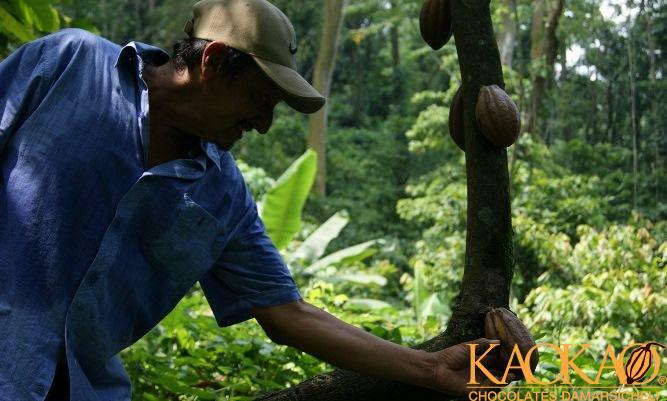 It is our goal to offer quality products, with natural ingredients while promoting the origin of cacao in the Mayan civilization. We aim to educate client’s palates by consuming products made with pure cacao butter, no additives, as opposed to other commercial chocolate brands. There are many health benefits to consuming natural products made of real cacao butter that we hope share with you (see the “about chocolate” section to discover all of the benefits). We create a unique line of products, crafted in small handmade batches using only natural Mexican ingredients. Check out all of our products that are available in our factory store, shop online section , and/ or our local retailers.